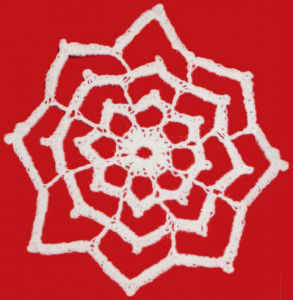 Just as there are an infinite number of real snowflakes, the possibilities for crochet snowflakes are also endless. 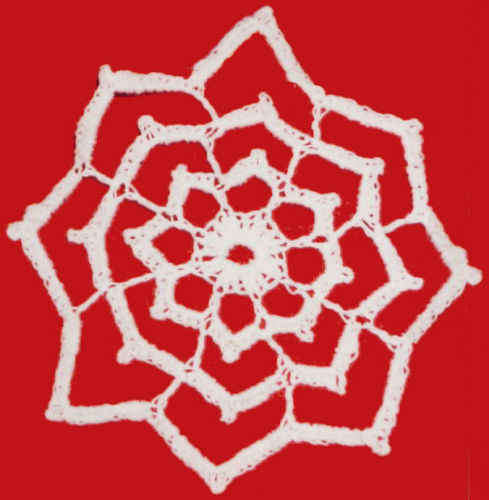 If you have never tried crocheting with crochet cotton thread before, a snowflake pattern like this is a good place to start. You will get instant gratification when you create your first thread craft project. Use your snowflakes for ornaments, package decorations or as gifts for family and friends. 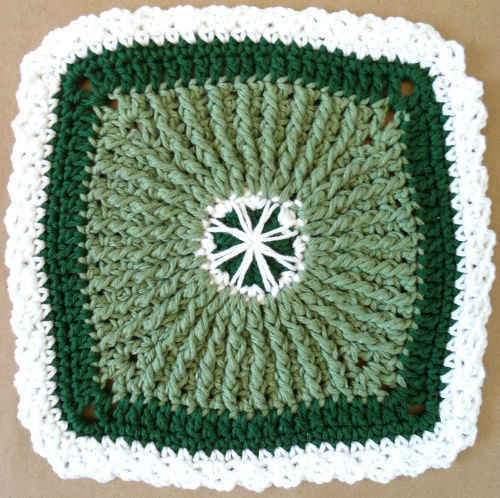 Materials: Size 10 Crochet Cotton: White (W) – 15 yards. Rnd 1: (Right Side) Starting at center, with White, ch 8, sl st in first ch to form ring; ch 3 (counts as first dc now and throughout), 23 dc in ring; join with sl st to first dc. Rnd 2: Ch 8, * skip next 2 dc, sc in next dc, ch 7; rep from * around, end; sl st in first ch of beg ch-8. Rnd 3: Ch 1, (4 sc, ch 3, 4 sc) in ea lp around; join with sl st to first sc. Rnd 4: Ch 12 (counts as first dc and ch 9), * dc in next sc, ch 9; rep from * around; join with sl st to first dc. Rnd 5: Ch 1, (6 sc, ch 3, 6 sc) in ea lp around; join with sl st to first sc. Rnd 6: Ch 16 (counts as first dc and ch 13), * dc in next sc, ch 13; rep from * around; join. Rnd 7: Ch 1, (10 sc, ch 3, 10 sc) in ea lp around; join. Finish off and weave in ends. – Starch into a star-shaped 3-inch circle using general starching directions.